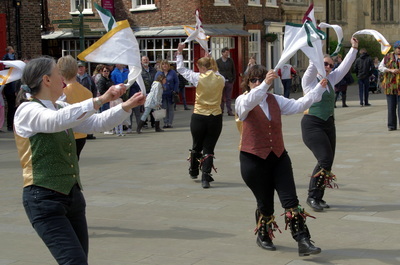 The JMO Day of Dance in York raised over £750 for the York Flood Appeal! 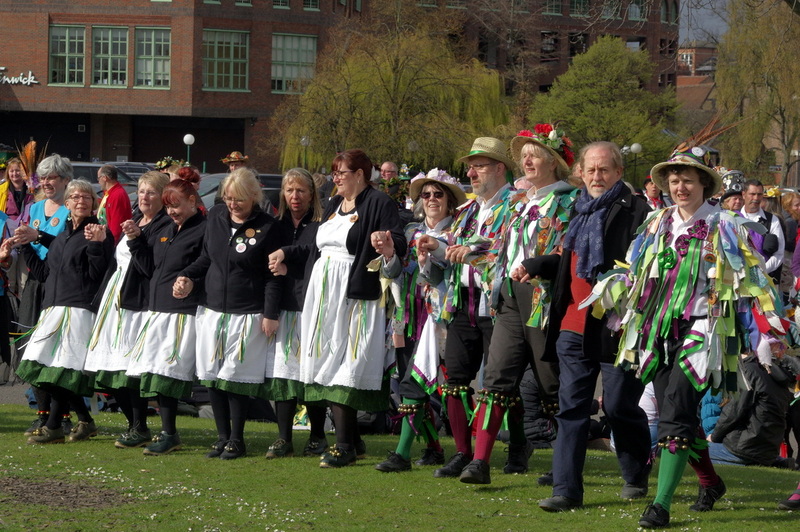 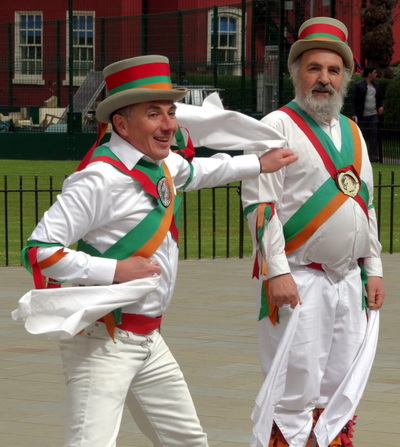 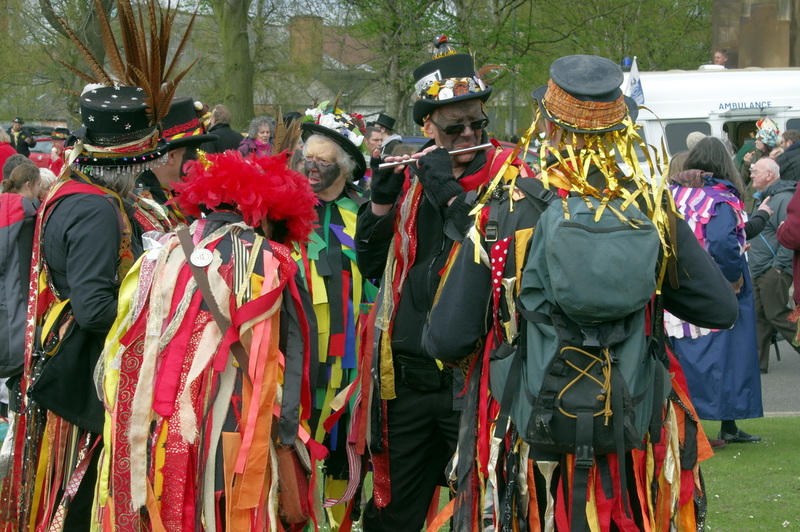 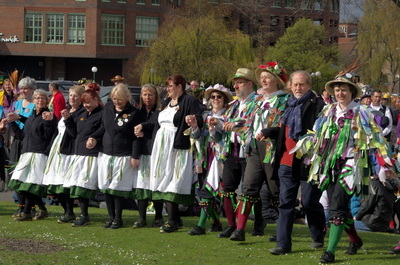 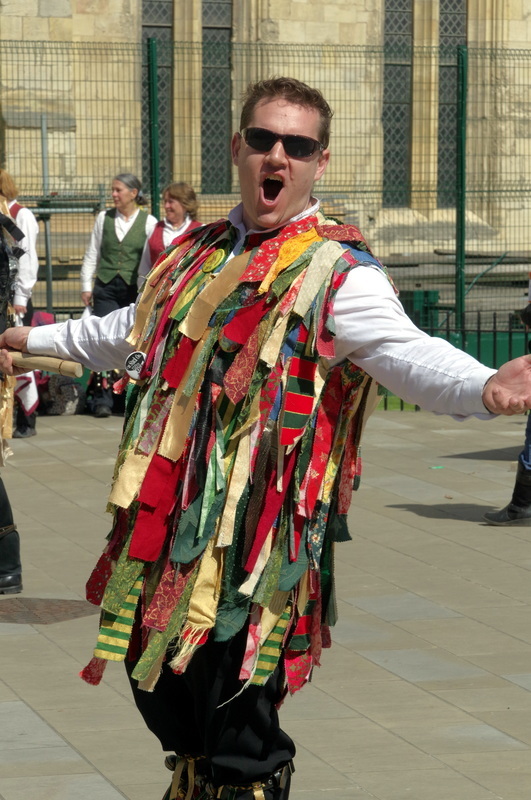 The JMO day of dance is a collaborative event organised in turn by one of the three Morris organisations in the UK - The Morris Federation The Morris Ring and Open Morris. 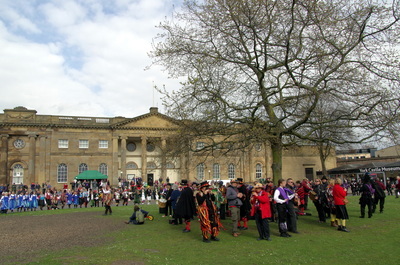 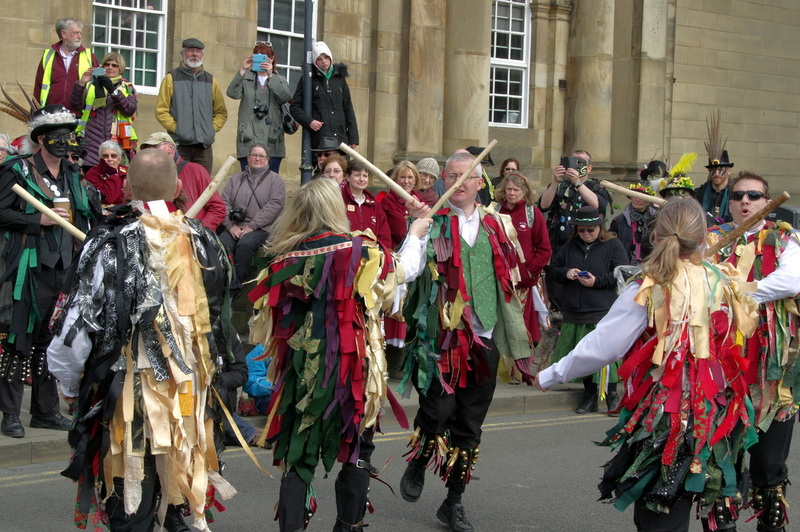 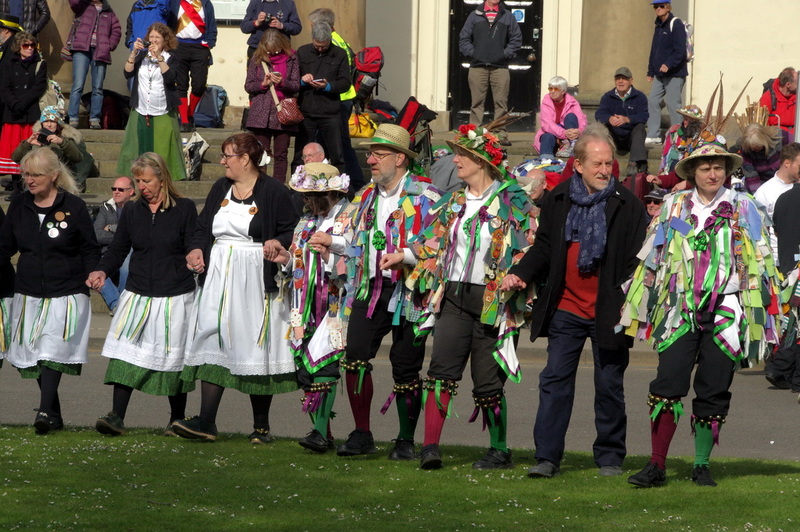 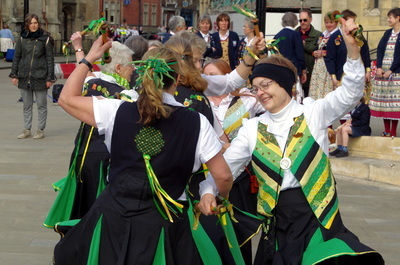 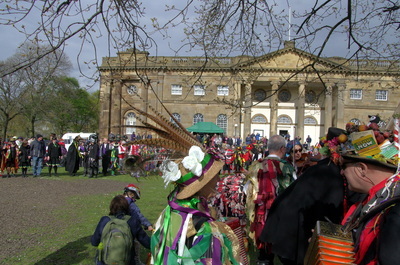 Each year the JMO Day of Dance is held in a different location. 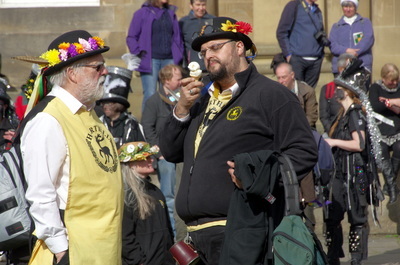 The three organisations rotate the organisation of the event with a member side offering to plan and host the day. 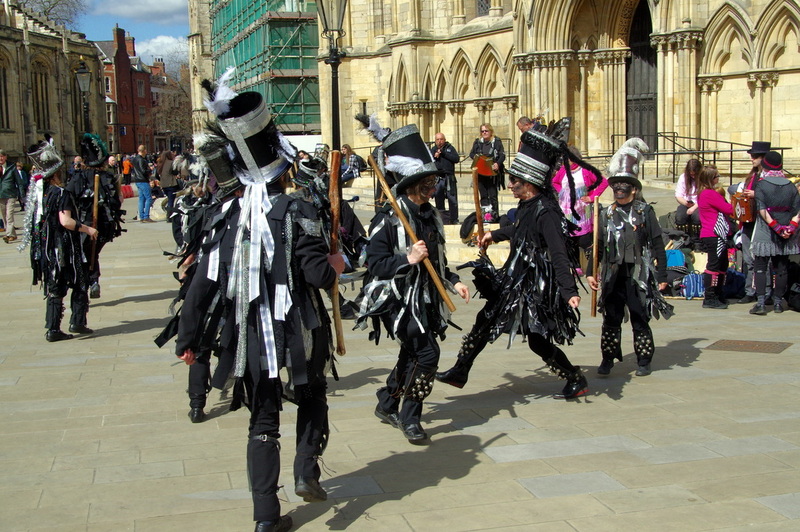 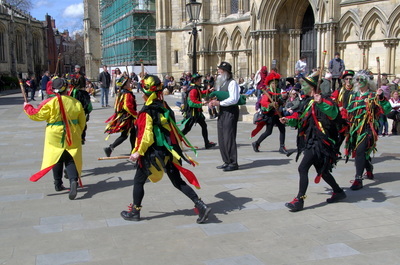 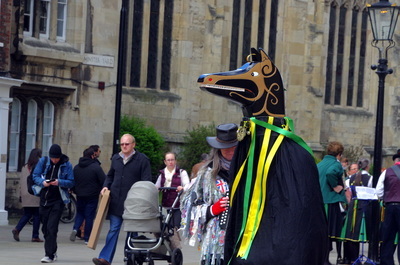 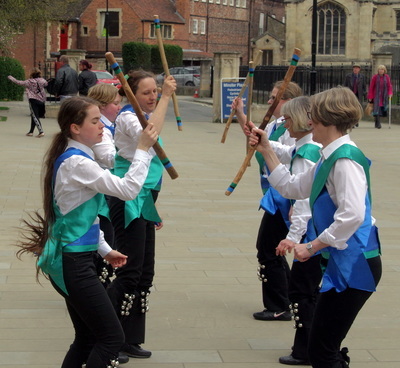 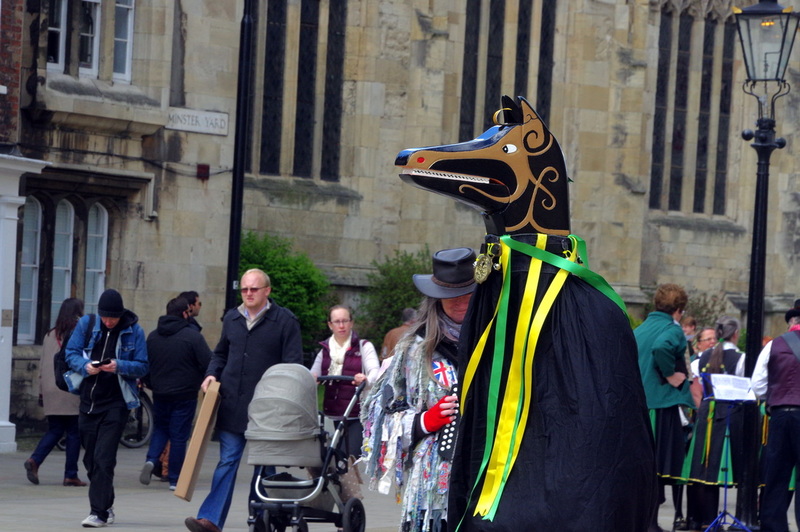 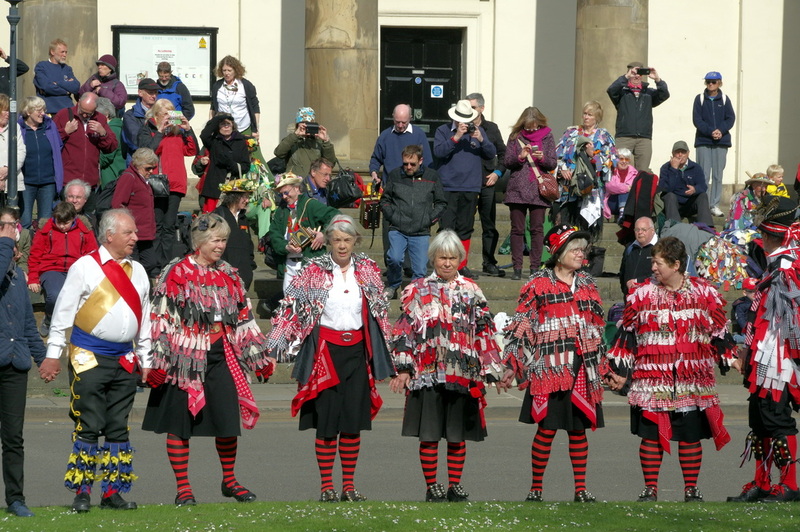 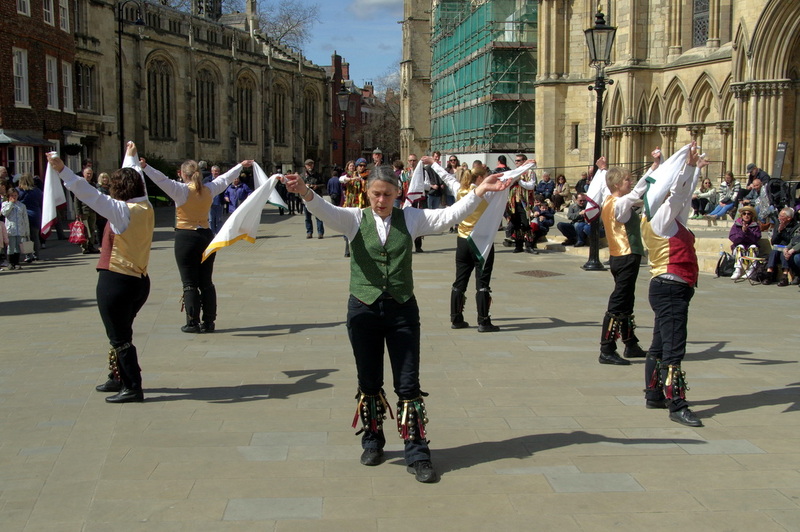 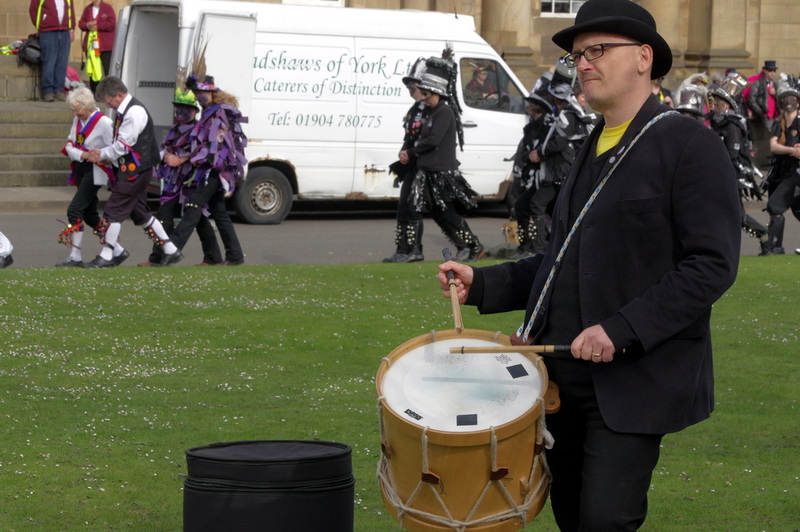 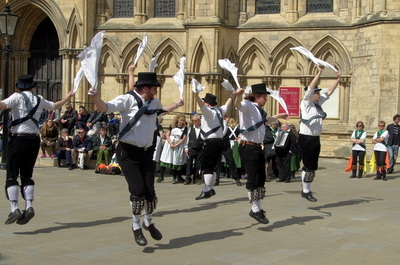 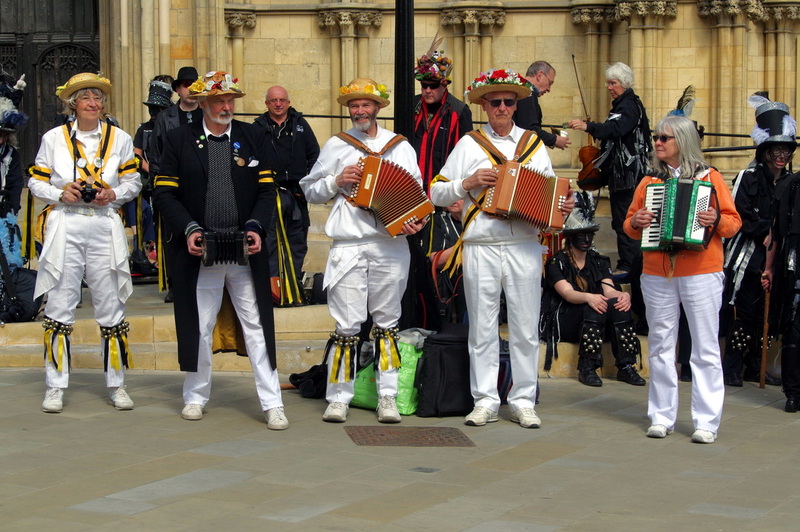 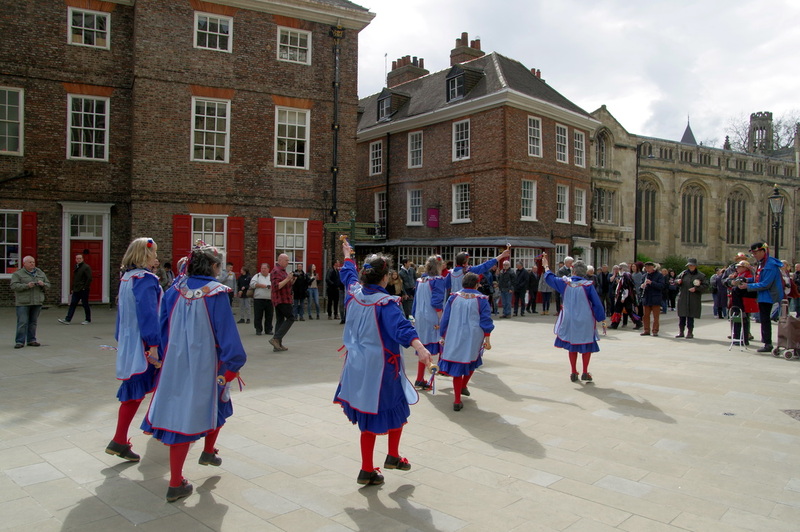 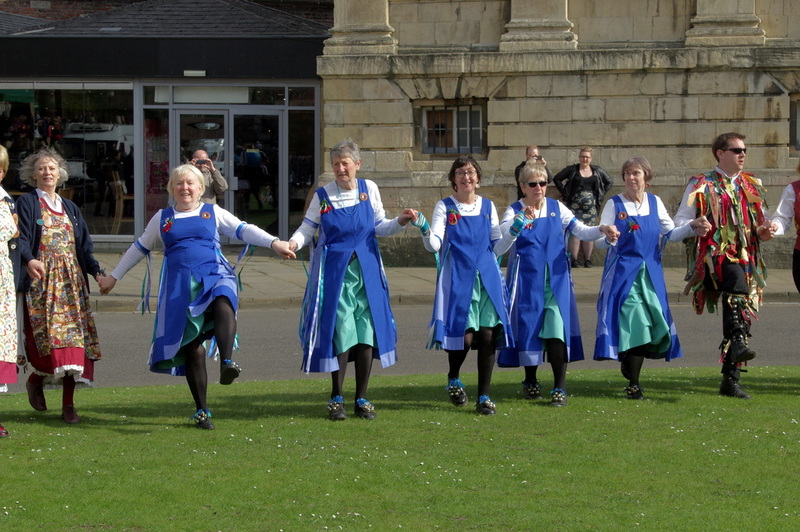 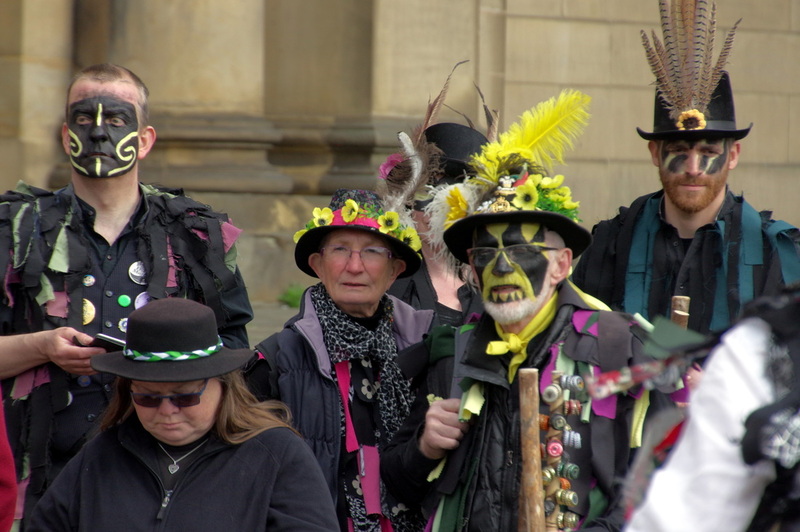 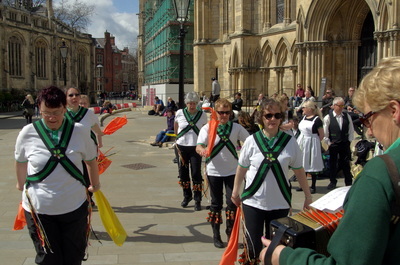 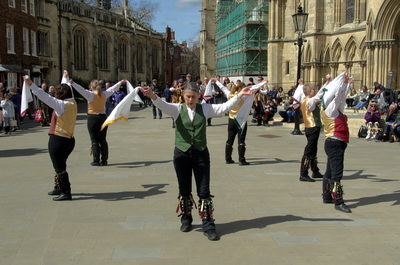 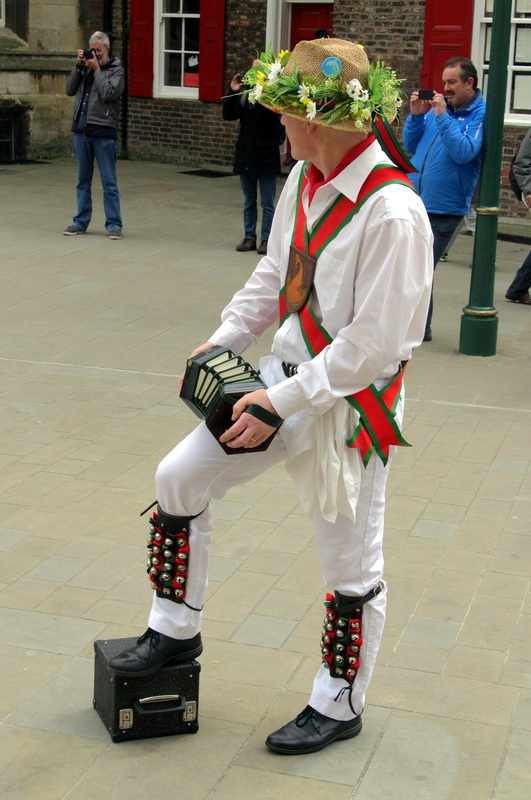 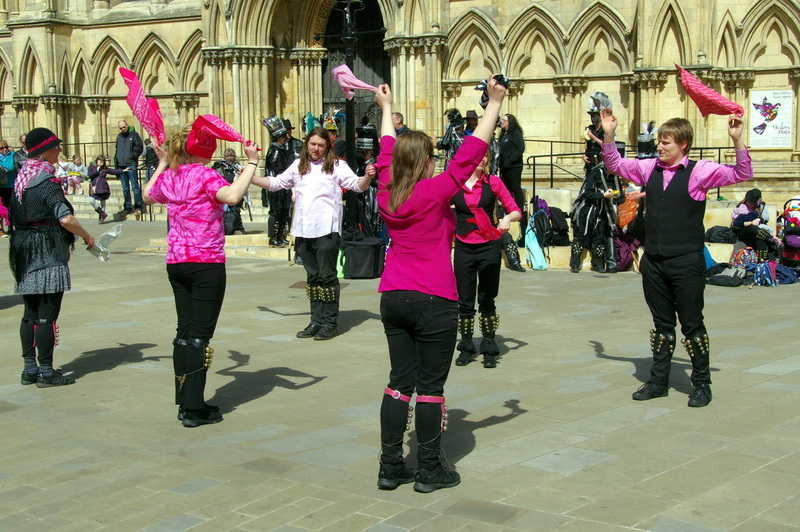 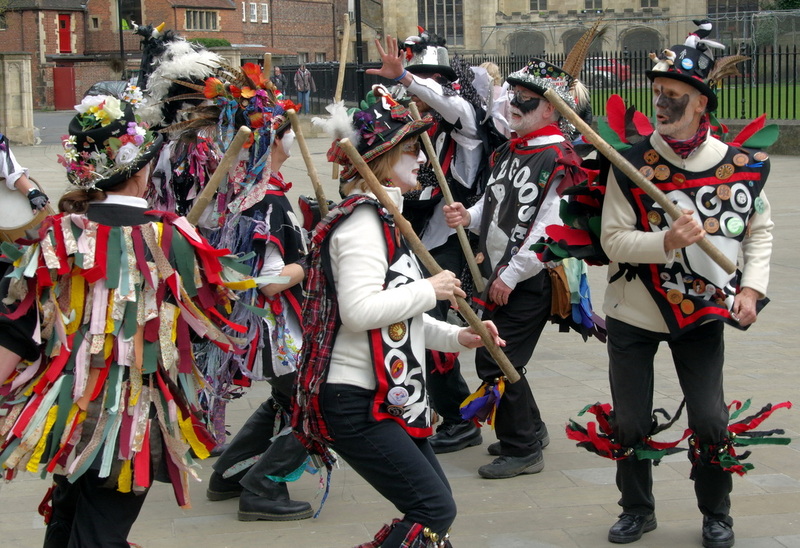 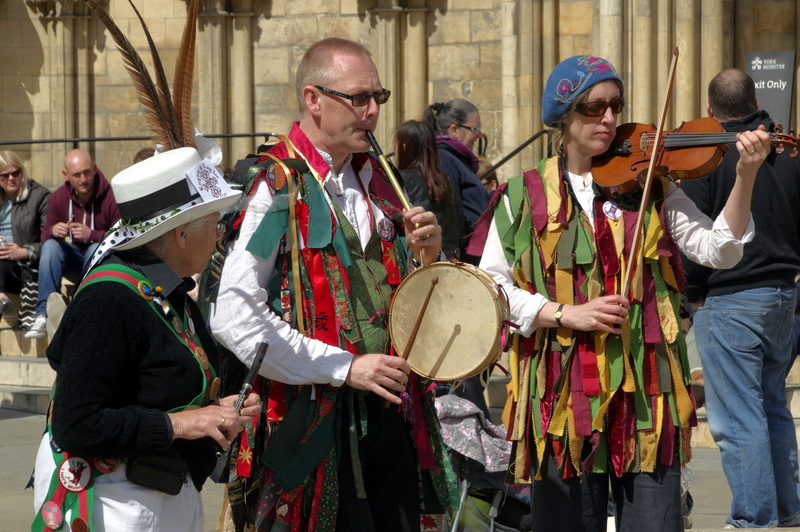 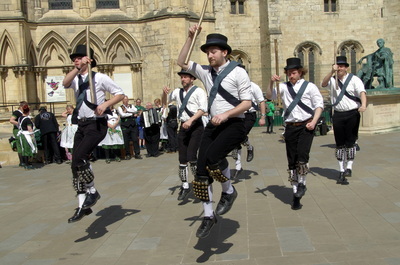 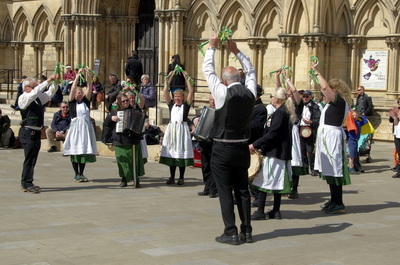 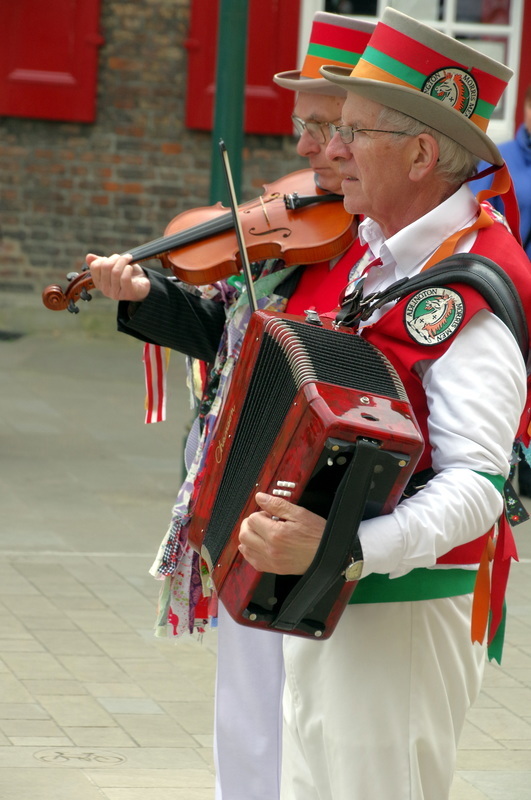 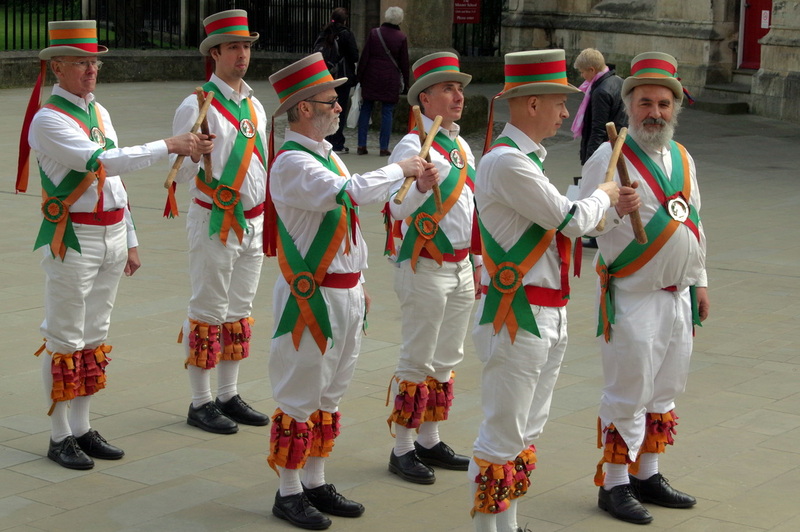 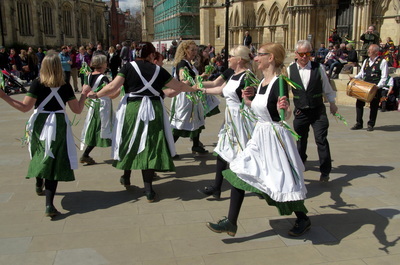 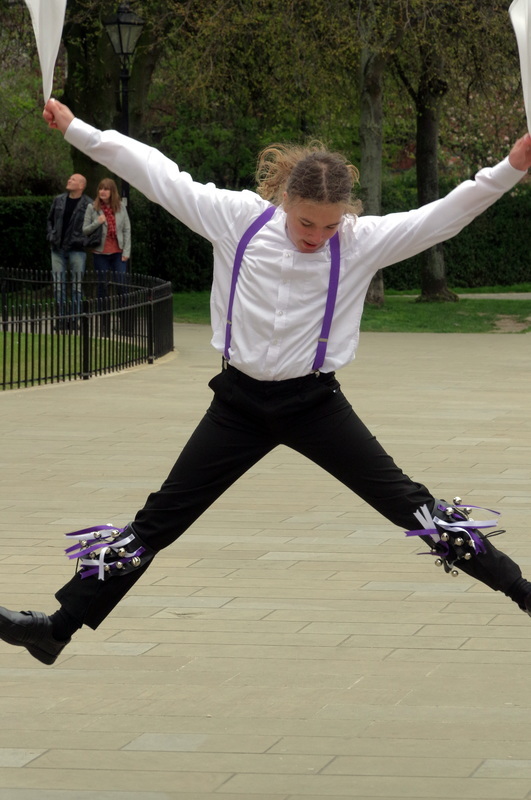 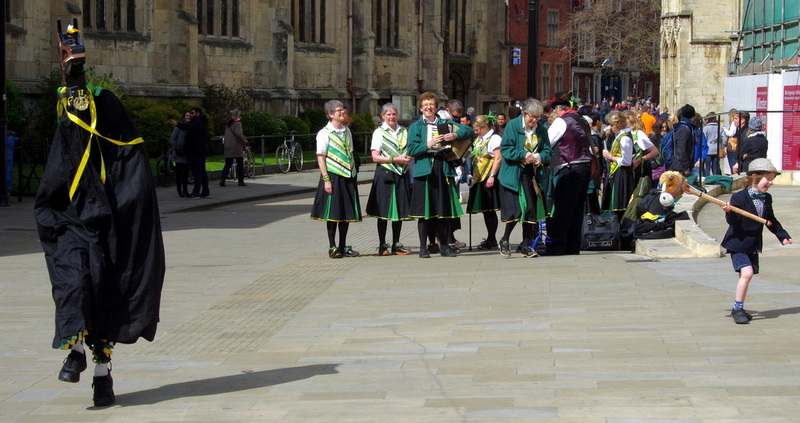 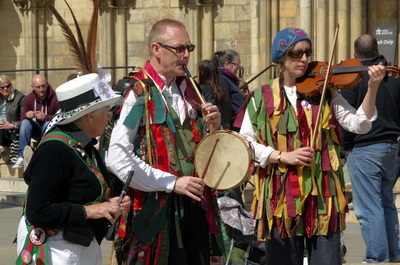 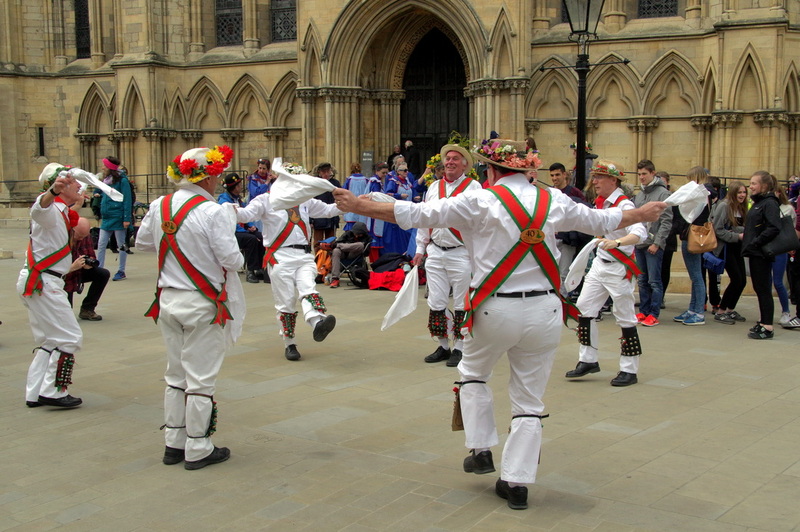 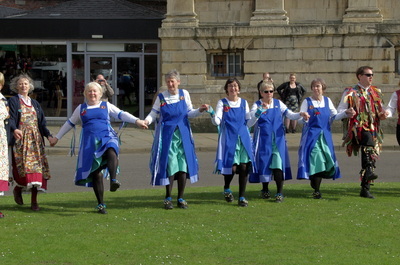 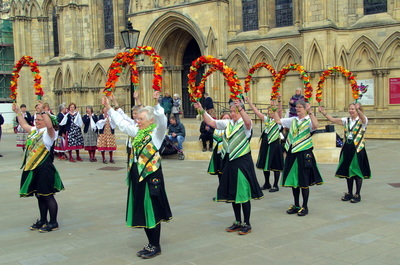 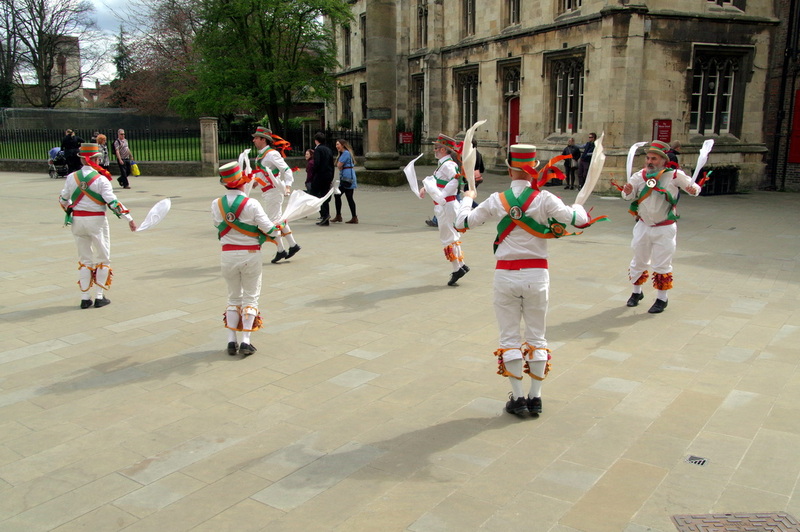 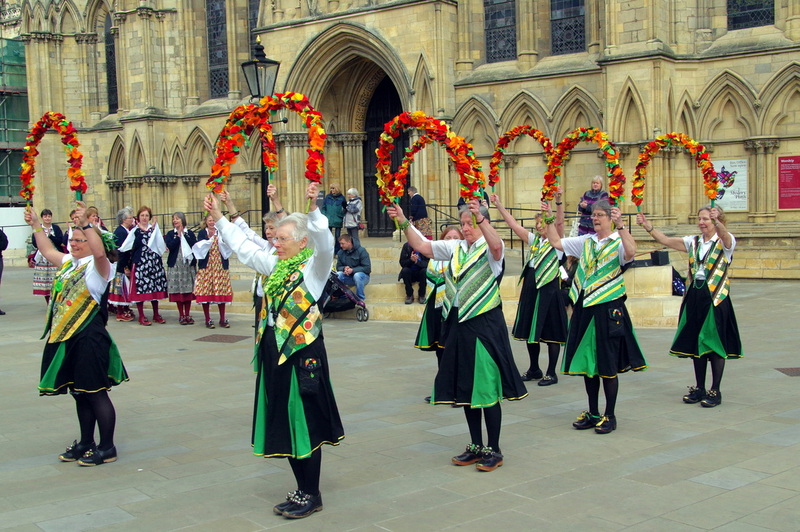 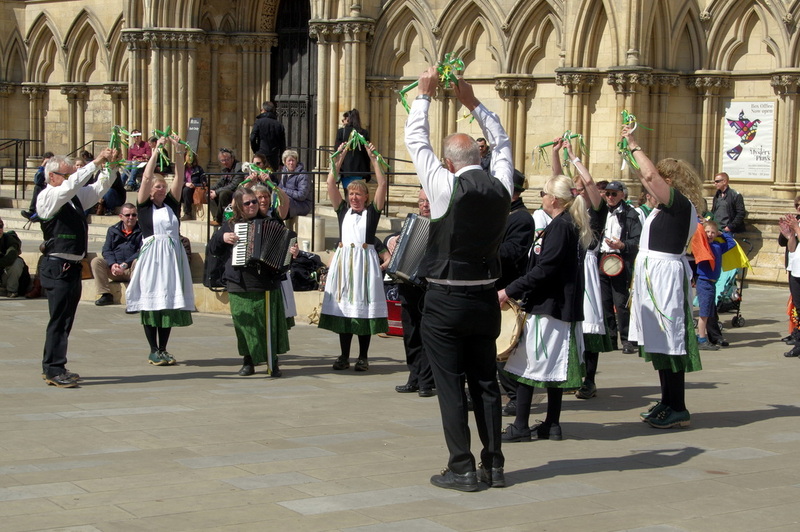 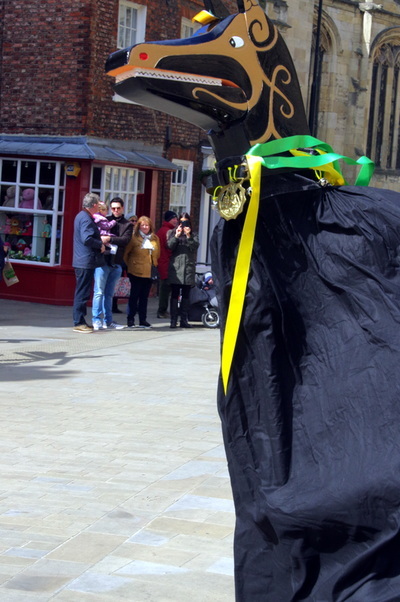 April 2016 saw the Minster Strays host the JMO National Day of Dance in York. 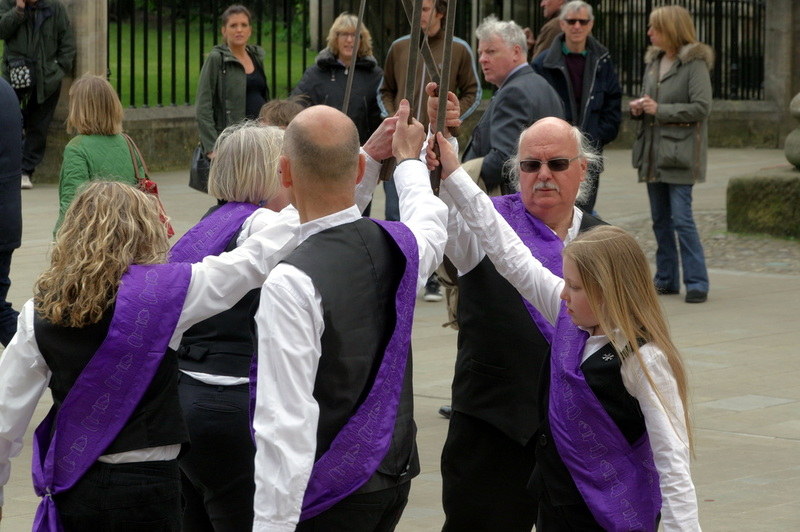 52 dance teams at 18 different dance site around the City. 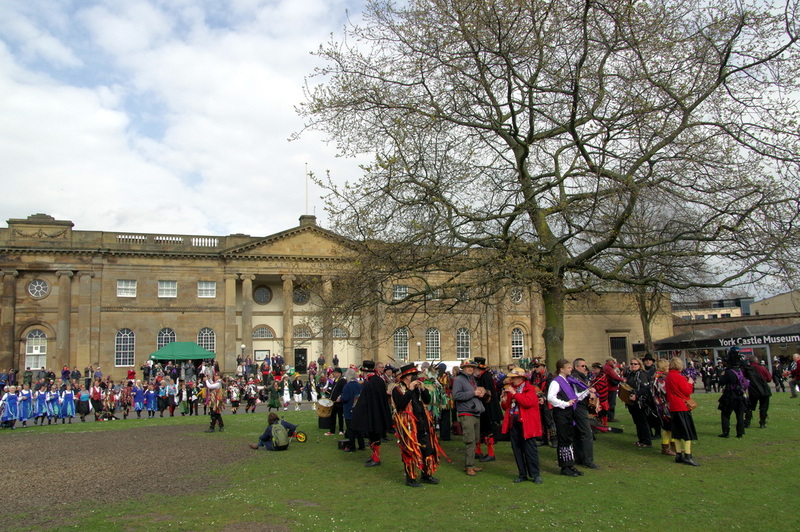 Dancing started 10.30 and continued throughout the day and concluded with the finale dance at the centre of the Eye of York at 4pm where there was a massed Circassian Circle. 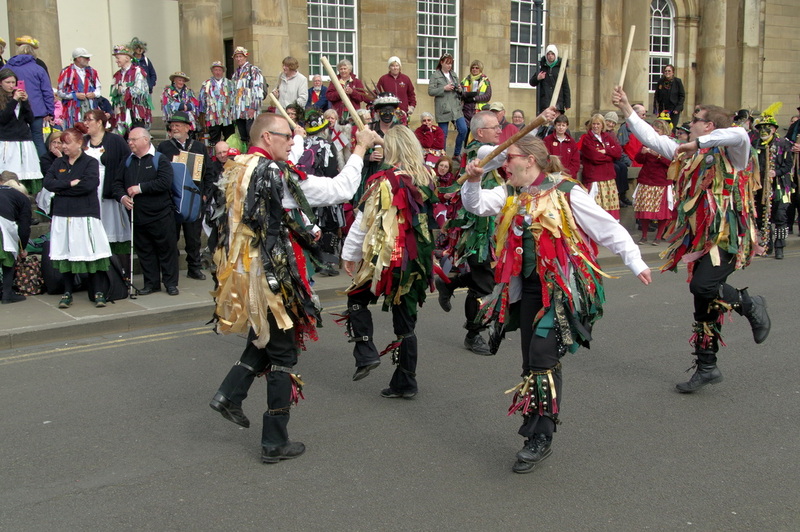 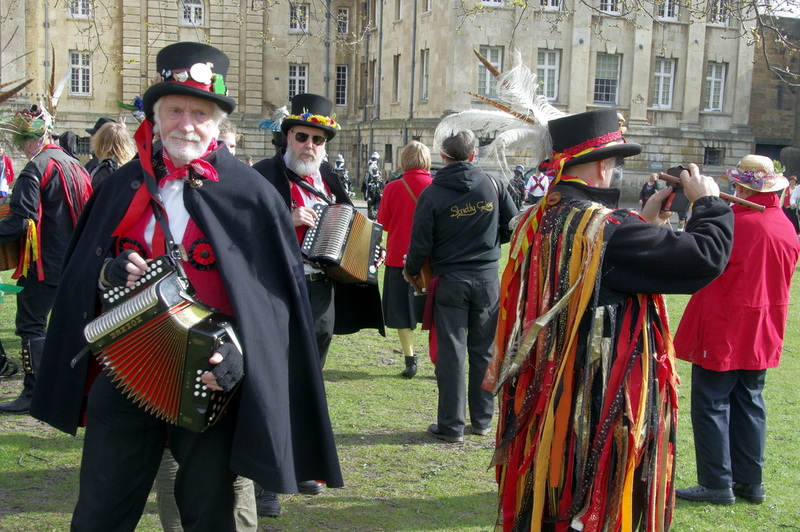 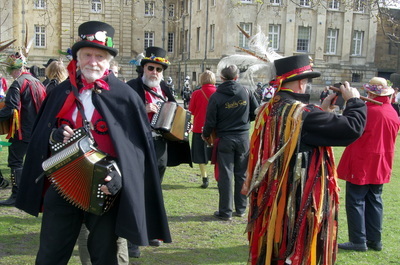 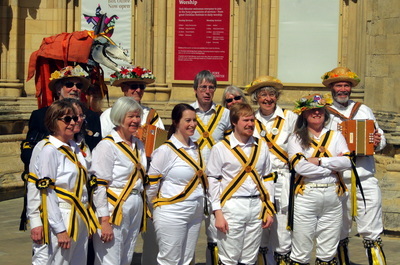 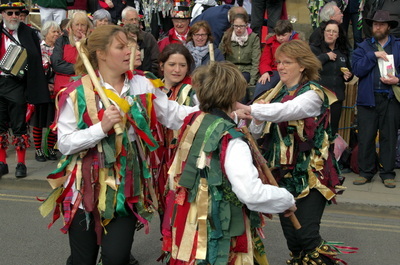 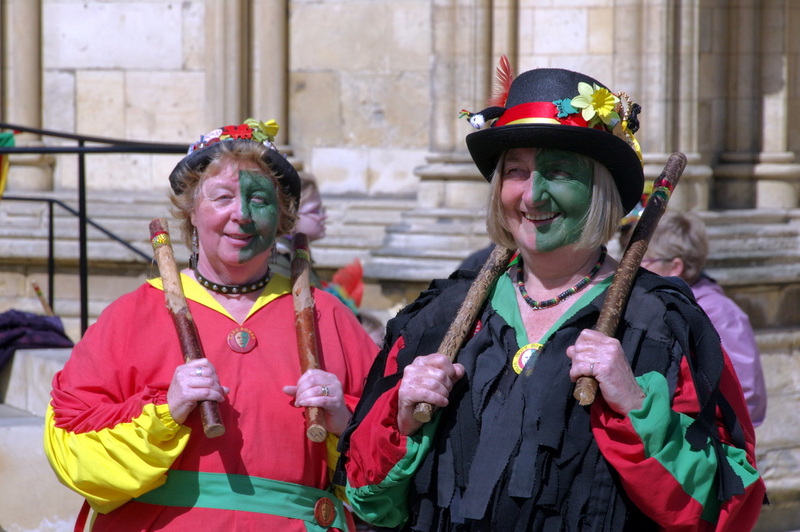 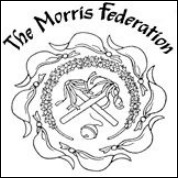 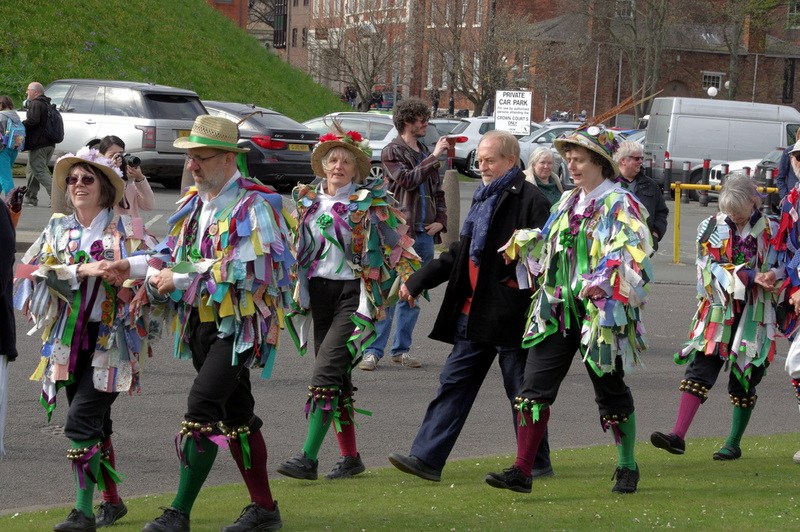 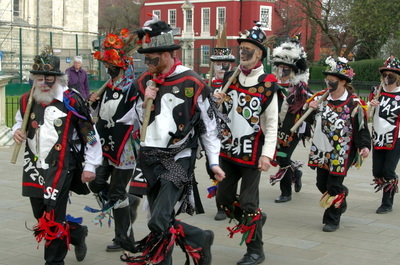 The Morris Federation was formed in 1975. It originally represented the growing number of women performing traditional dances. 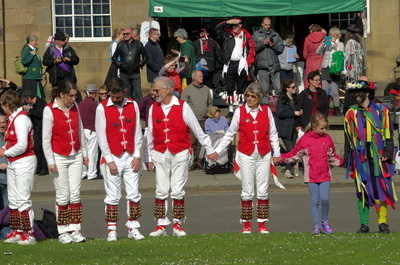 In 1983 it expanded to include male and mixed sides. 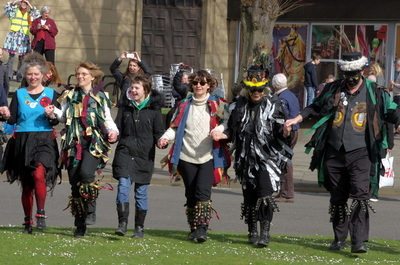 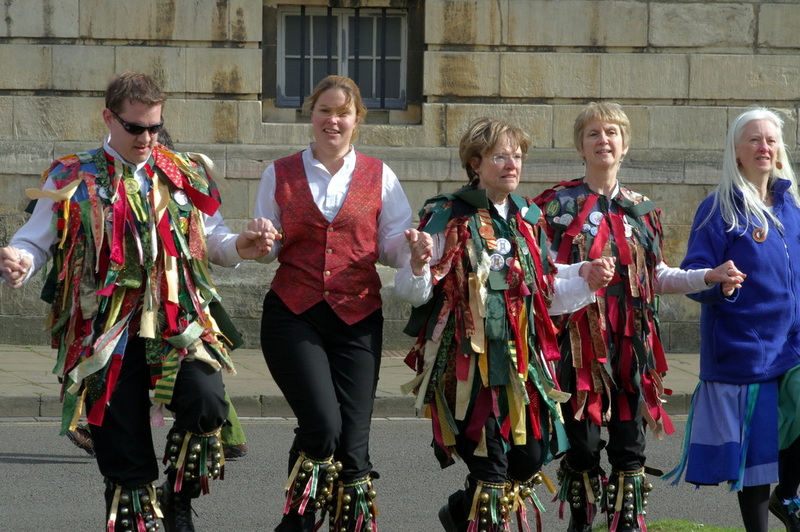 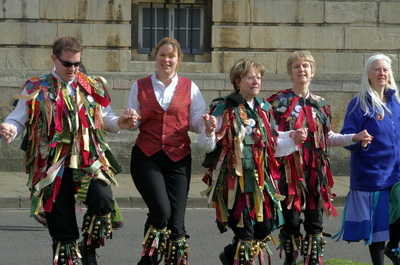 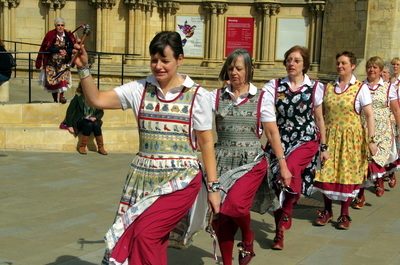 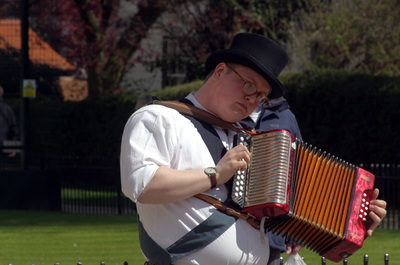 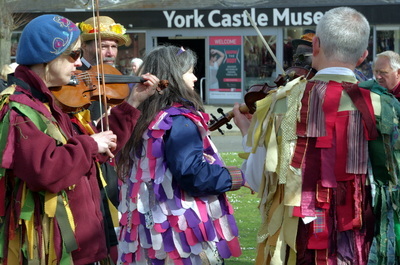 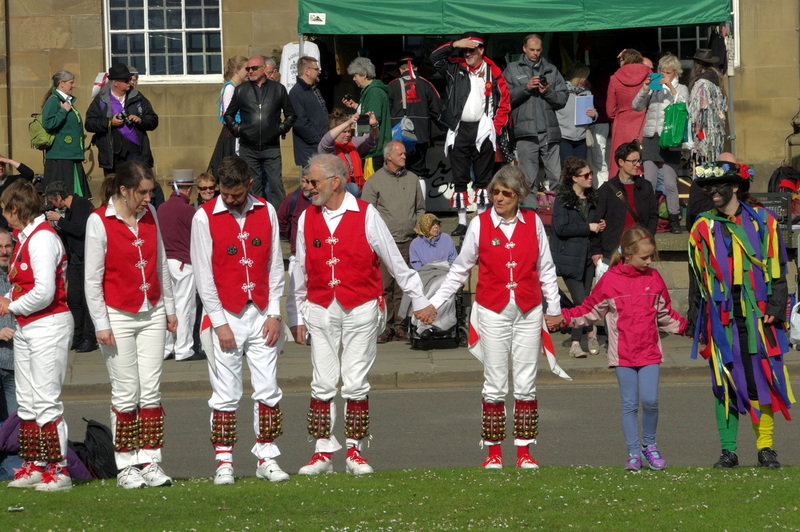 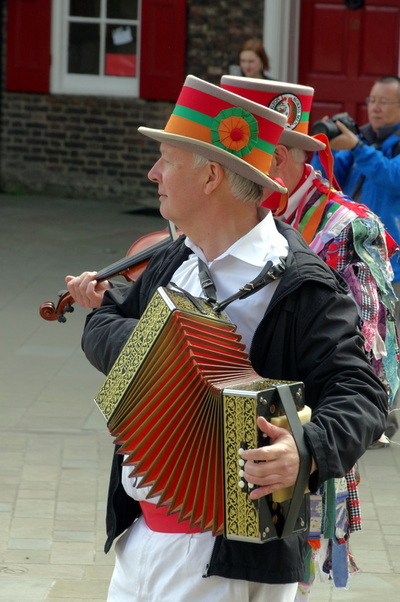 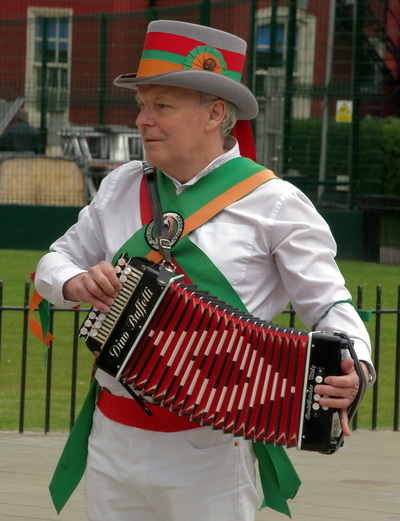 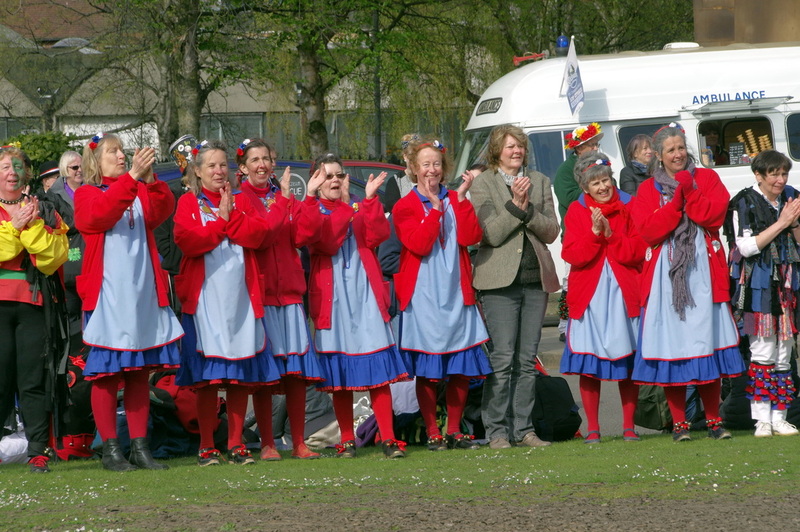 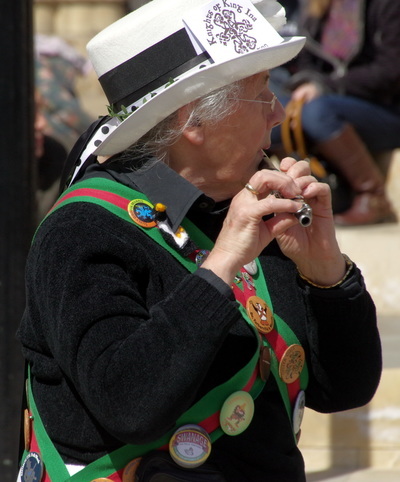 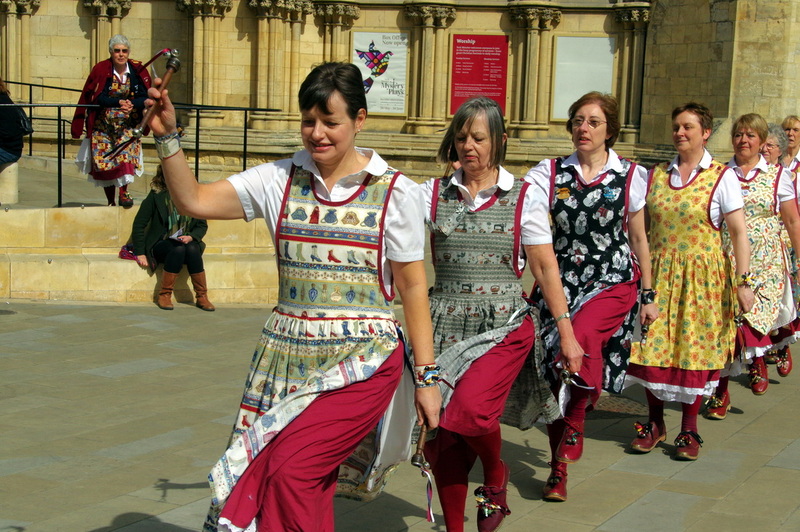 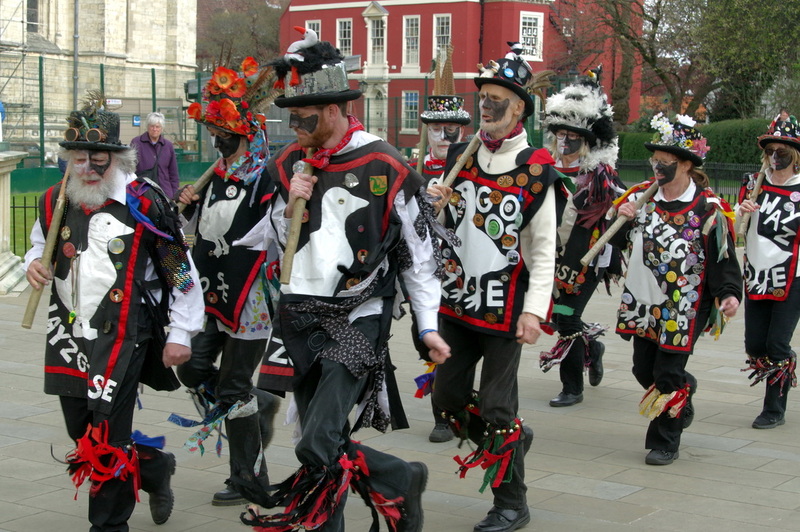 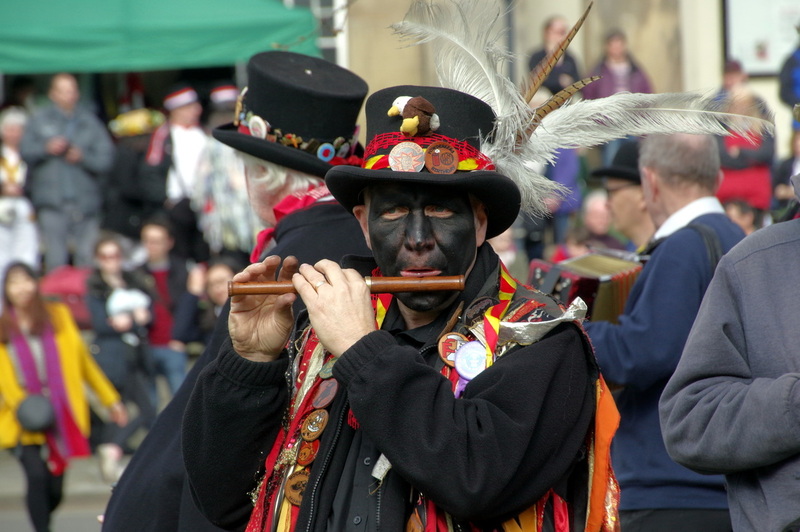 Open Morris is the youngest of the three organisations, encouraging Morris dancing in all its forms. 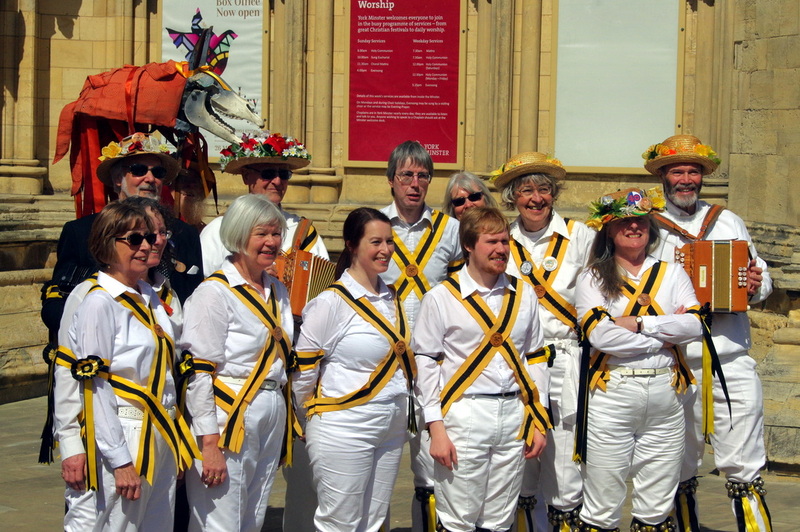 They were the host organisation for the 2015 day of dance. 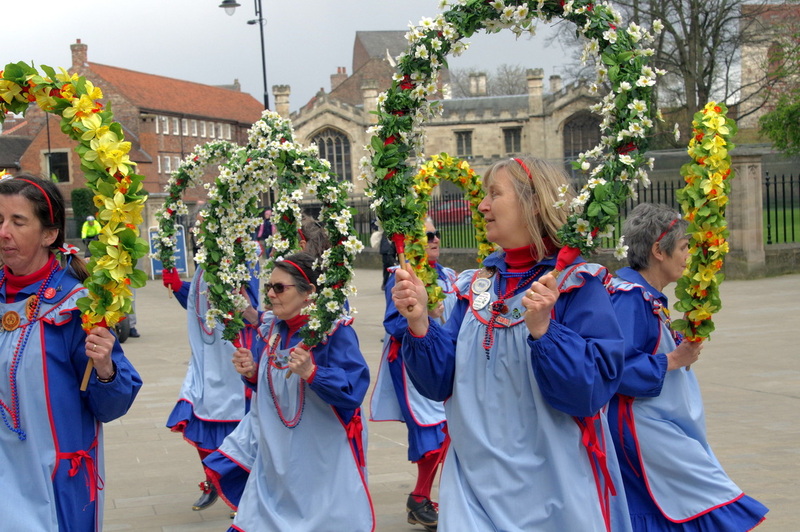 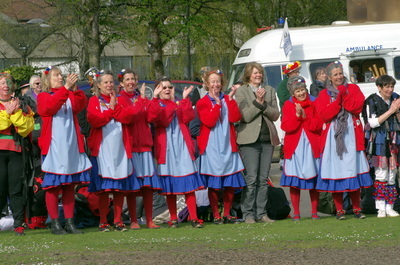 The Morris Ring is the oldest of the three organisations. 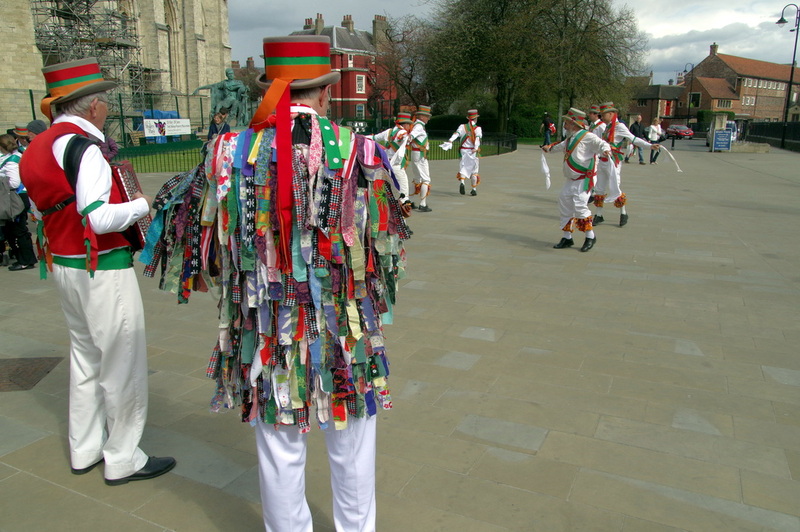 It was founded in 1934 with the stated aims "To encourage the performance of Morris, to maintain its traditions and to preserve its history."